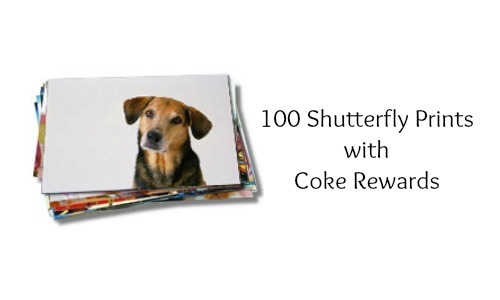 If you are a member of MyCokeRewards, there’s a great offer where you can get 100 4×6 Shutterfly prints for 5 points! This is a $15 dollar value but if you’ve been earning Coke Rewards, you can get these prints for the price of shipping! Depending on the brand of Coke product, you may just need to purchase one Coca-Cola product to get 5 points. Shipping for 100 prints costs $7.99. Please note that this offer cannot be redeemed more than once.